Fortunately my organisational skill are scarily good, or at least that’s what my friends tell me, but it doesn’t help that I am mildly dyslexic, so dates and times I can find confusing. The number of times I have arrived at a garden to find it was either open yesterday or will be open tomorrow I don’t care to mention. 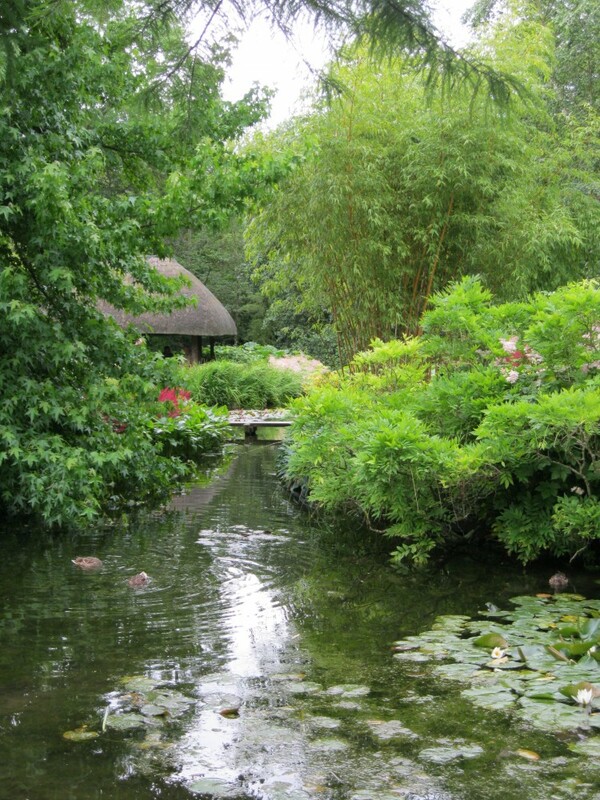 Some gardens have very limited opening hours, and this is particularly true of Longstock Water Garden, which is only open to the public between 2.00 and 5.00pm, on the first and third Sunday of the summer six months of the year. Somehow I managed it. 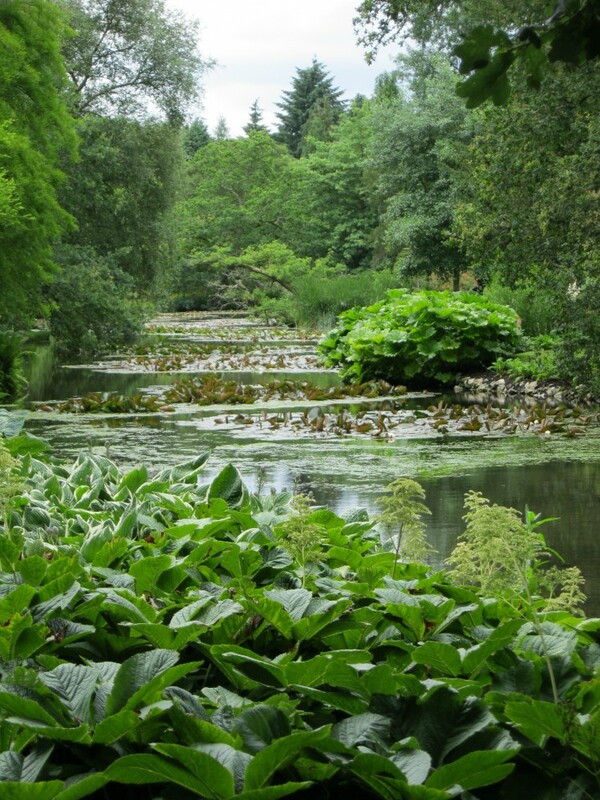 Described as one of the world’s finest water gardens, it was laid out by the founder of the John Lewis Partnership, and is now owned and managed by Waitrose. It goes without saying that the maintenance is superb. John Spedan Lewis bought Longstock House and the estate in 1946, but it wasn’t until 1975, at the age of 70 that he retired to Longstock. His father had started a small draper’s shop on Oxford Street, and then opened the famous department store but it was John Spedan Lewis who introduced the unusual business model, where ‘the partners’ (i.e. the employees) share the responsibility of ownership, as well as its rewards. The house is now used as a recreational centre for Waitrose clients and partners. 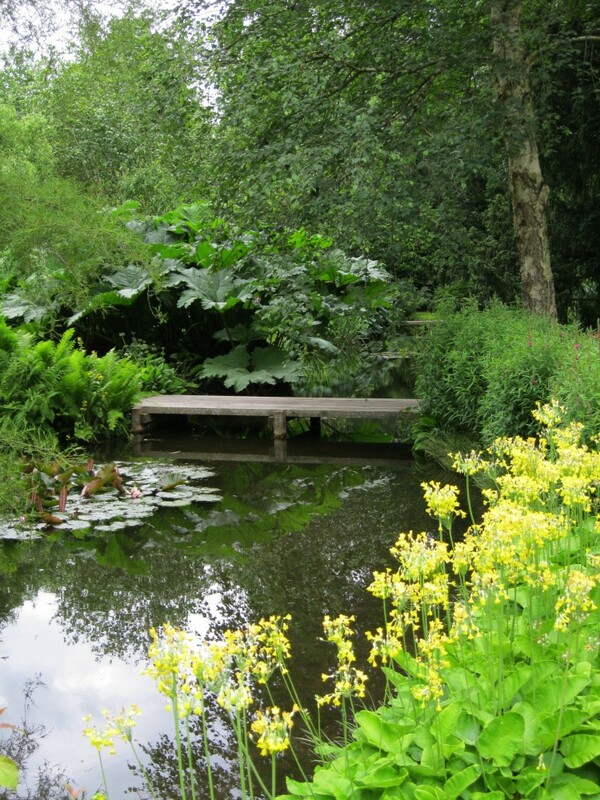 The Water Garden at Longstock came about by accident. In the 1870s, whilst dredging gravel for road-building in one of the meadows adjacent to the shallow-flowing River Test, the high water table caused a lake to form. Some 50 years later, attempts were made to turn this into a water garden, but it was not until Lewis’s ownership, that the garden was trebled in size to 7 acres, and took on its present form. 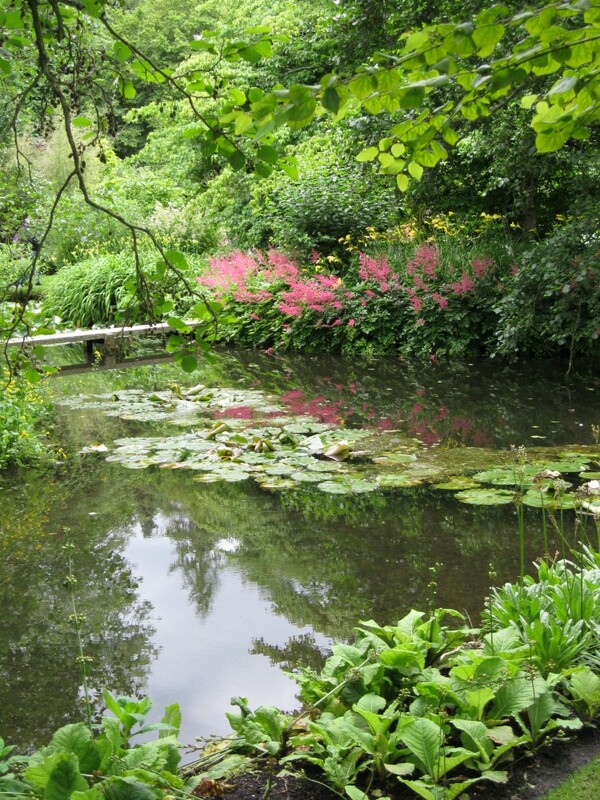 The planting was carried out by a botanist friend of Lewis, Terry Jones, who had a good eye for colour and the skilfully lush plantings of water-lilies, bog and waterside perennials are meticulously maintained. It has a calmness and tranquillity that appeals to me, the planting being mostly greens with small splashes of colour (my kind of garden). 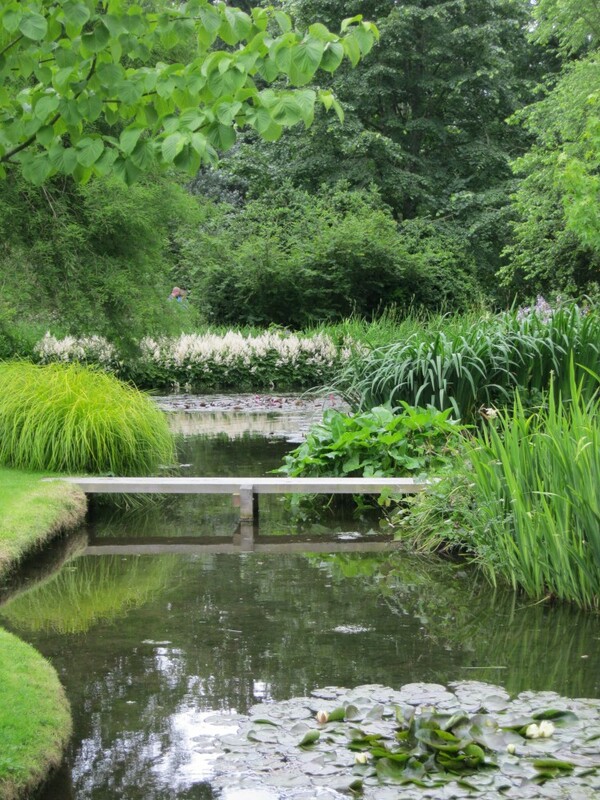 The layout is a maze of promontories, bridges, islands, rivulets, canals, ponds and larger lakes, one third of the area of the garden being water – truly the Venice of water gardens, and a delight to children, and those (like me) of a childish disposition. Most of the garden overlies chalk, but one small woodland area is acid-loving peat, and good use is made here of camellias and rhododendrons. The seclusion of the garden makes it is an attractive location for a wide range of birds and insects. 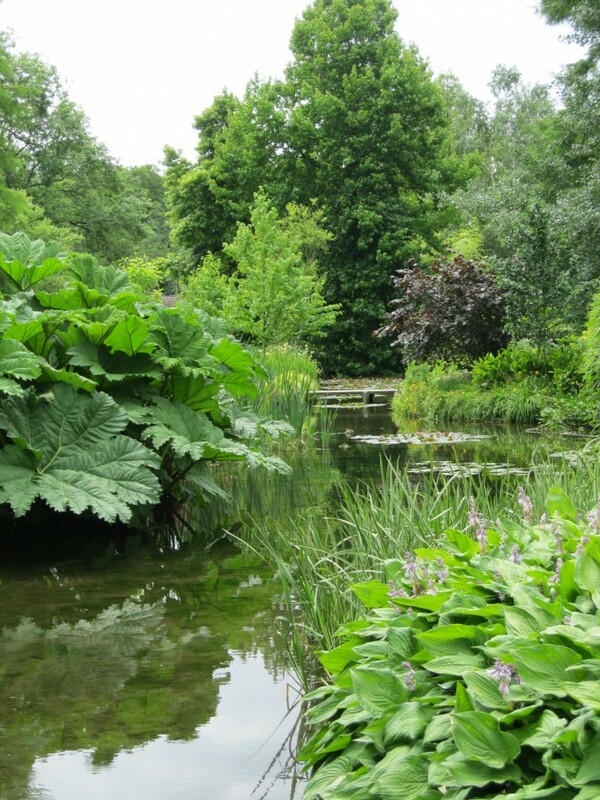 This is, without doubt, my favourite water garden, and considering its limited opening hours, it attracts a surprisingly large number of visitors. Entrance fees go to local charities, and a visit can be combined with a trip to the nearby Waitrose nursery, with its bustling church ladies and enticing home-made cakes and teas. Wonderful!